On my first day in Long Island City I came across the Dutch Kills area. Which felt like a big discovery. 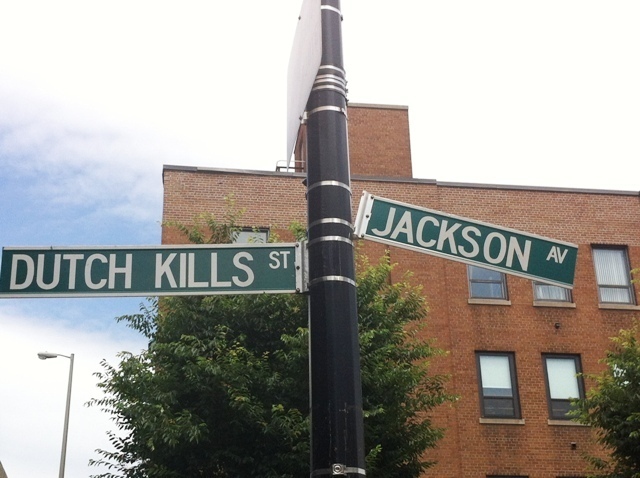 I could not stop taking pictures of the Dutch Kills street sign. Thought it was so hilarious. Must be because I'm Dutch. We discovered the Dutch Kills Centraal on our way back to the Paper Factory Hotel. And fell in love with its feel. It's like a neighborhood bar where you feel welcome and at home instantly. The hightop community table right in the centre of the place and the bench seating on the wall side adds to that feeling. The second time we were there we were able to sit outside. How great is that? 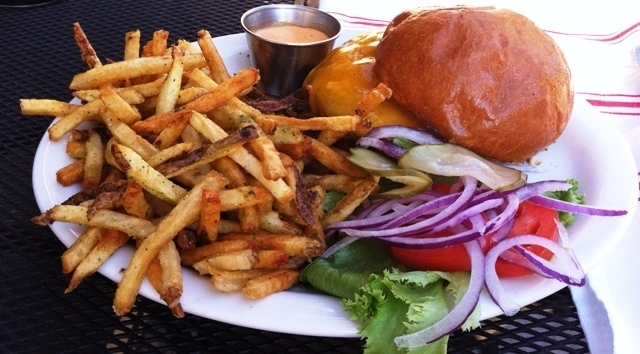 Curbside dining and drinking in New York City? Dutch Kills Centraal has a good selection of beers, including local and seasonal. And the food....oh boy....de-LIC-ious! The selection is pretty small but every time we were there I saw one fingerlicking goodlooking dish after the other go by. I can now highly recommend the aragula salad, the tuna melt, the sweet potatoe fries (with the spicy Sriracha Lime Mayo instead of the barbeque sauce), the Centraal (beef) Burger, the chicken wings, the burrata and the cheese plate. Can't say anything about the deserts. Other than that they looked very tempting! Long Island City in Queens really is full of hotspots. 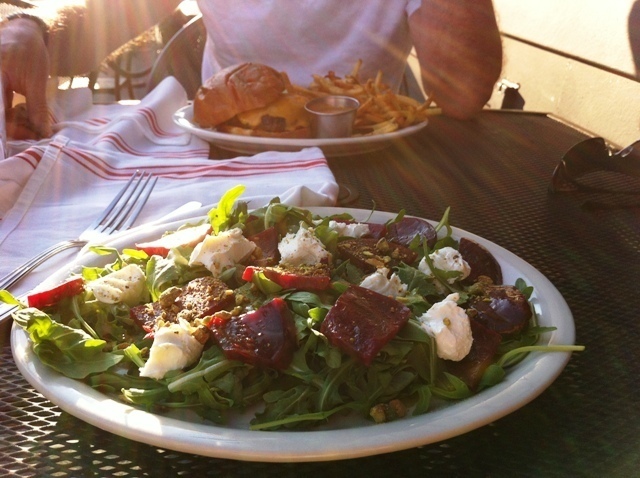 On top of our list with favorite places in LIC are Gastroteca Astoria, Sweetleaf and MoMA PS1. Easy to reach by train, bike and NYC Ferry. Go see for yourself. Make a day of it. And treat yourself to a drink and something to eat at Dutch Kills Centraal. You won't regret it! Dutch Kills Centraal. A neighborhood bar in LIC, Queens. A New York City hotspot. Falling asleep overlooking Manhattan, the view from your room is absolutely phenomenal! Sweetleaf, the sweetest little coffeeshop, in Queens has old and new written all over it. When the word “Bar” caught our eyes we quickly decided to go see what was there. The fun already started at the packet pick-up at Paragon Sports on Friday evening. Next time I’ll have to try the meatballs. Locales signature dish.